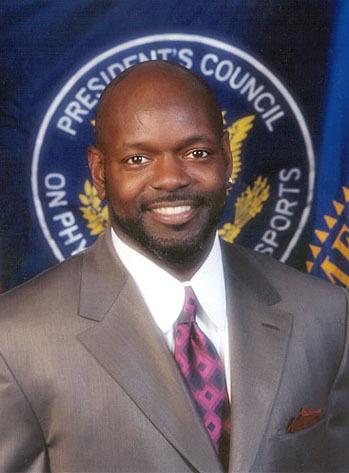 See the gallery for quotes by Emmitt Smith. You can to use those 8 images of quotes as a desktop wallpapers. 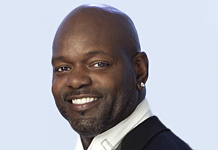 My father is Emmit and my grandfather is Emmit, but I wanted something extra so I could separate my Emmitt from the rest of them. Even though on my birth certificate it has one T, I just added the extra T for me. Sixteen games, to me, is a long enough schedule for anybody. We're already concerning ourselves with head injuries and bodily harm to all of the professional athletes. Add to extra games to it, (and) you are just increasing those risks. If you know anything about me, I've never been a trash-talker. That's not even part of my DNA. 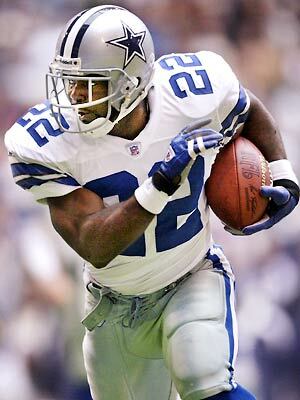 I don't have to put on shoulder pads and run out there and let somebody hit on me a little bit. I have achieved everything that I ever wanted to accomplish in this game and more so, for me, I have been fulfilled. 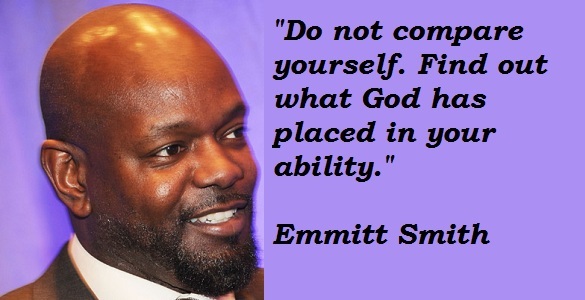 Much more quotes by Emmitt Smith below the page. 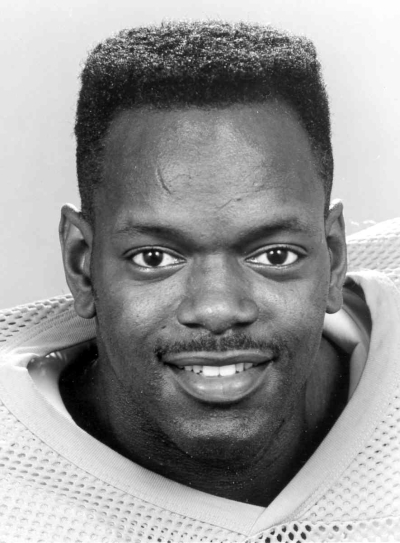 Charles Haley changed the way the Cowboys played football in the 90s. And the reason why I say that is because he was such a dominant force coming off the edge, where it took two and three to block him. I know how important it is to have your quarterback standing upright. Matter of fact, I know how important it is not to allow someone hit on him period because I want him to think that this pocket is completely safe, no one is going to get to me and I got all the time in the world to make whatever decisions I need to make.